Despite being the smallest nation in the Arabian Peninsula, Bahrain is one of the most colorful cosmopolitan GCC countries. In fact, for the second consecutive year, Bahrain has been chosen in 2018 as Expats’ favorite place to live and work in, according to Expat Insider Survey 2018. More than half of the island kingdom’s population consists of working and living expats. This formula is evidently present is the capital, Manama, and even more in the area of Juffair. 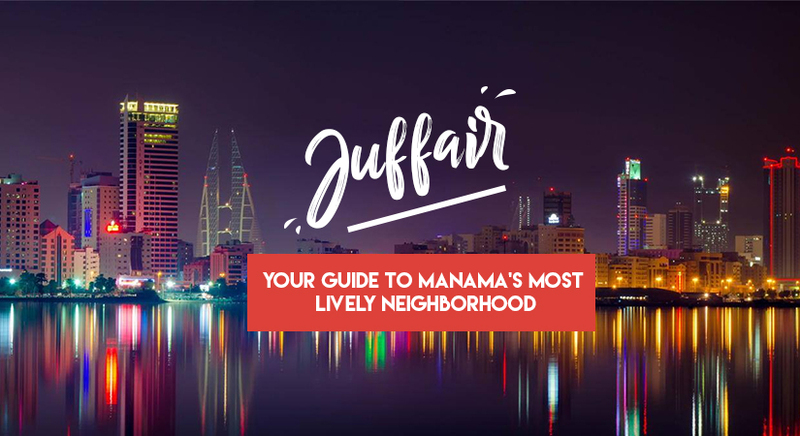 A suburban district of Manama, Juffair is considered by many one of the most vibrant areas in the Bahraini capital. 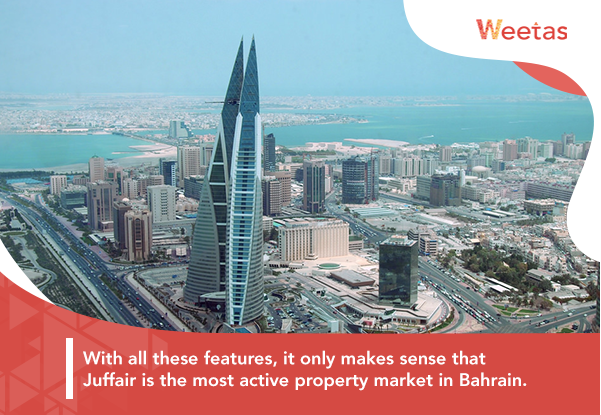 The district arguably has the most active local property market in the Kingdom of Bahrain. In this article, we will list all the details you need to know about the district of Juffair; this includes its location, facilities and services, main attractions, activities, and property market. Juffair was once a separate village from Manama; however, it was later converted into one of the the Bahraini capital’s districts as a part of the city’s expansion. The area’s location is in the southwestern corner of Manama, and most of its space comprises reclaimed lands. Juffair district features one of the most distinctive locations in the Kingdom of Bahrain due to its extensive coastline on one hand, and its proximity from the city’s most renowned areas like Adliyah district, Qudaiybya and others. Much like the entire Kingdom of Bahrain, expats, tourists, and young Bahraini nationals constitute the greater part of Juffair population. As we mentioned above, the area of Juffair houses expats and young citizens mostly. Such lively population formula has led to an always-ongoing hustle and activity in the area. This, in turn, has caused some key industries like construction, real estate, hospitality, restaurants, and retail to bloom in Juffair. The neighborhood is also site of fast-paced building activity as it is the home to many luxurious hotels, retail outlets and restaurants that the developers launch on yearly basis. Juffair also houses the American Navy Base in Bahrain, which has both directly and indirectly raised the bar for the construction and development companies working in the area as they have their own building safety requirements; the workers in the base constitute a remarkable percentage of the area’s population. 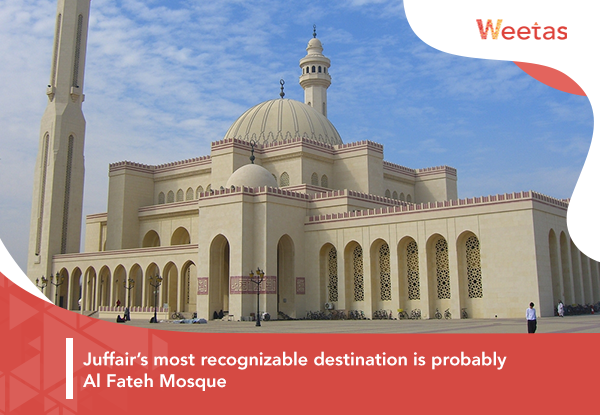 The area’s most recognizable destination is probably Al Fateh Mosque, the largest mosque in the entire Bahraini kingdom. In addition to its spacious area and capacity (6,500 square meters and 7,000 people), the mosque comprises the world’s largest fibreglass dome; it also houses the National Library of Bahrain. Aside from the kingdom’s largest worship place, Juffair district houses a multitude of restaurants and retail spaces. 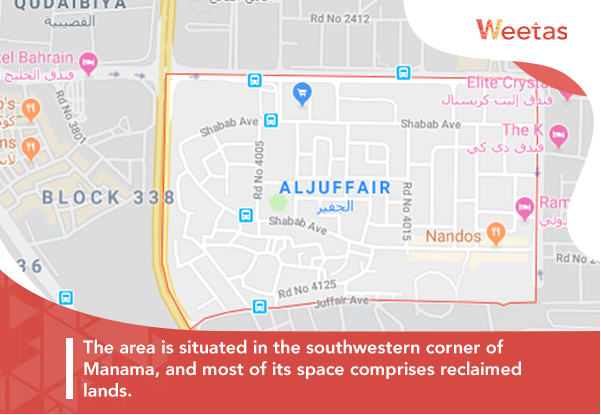 This is mostly notable in Al Shabab Road, a street which is stacked with variant restaurants on both sides, and Juffair Mall, the most renowned shopping attraction in the area which houses one of the branches of Lulu Market, an international hypermarket brand. The district’s eponymous mall is not the only retail destination it includes; there is Al Raya Mall, located a couple of blocks away from Juffair Mall. Also, at the entrance of the area, another retail destination, Morjan Shopping Mall, is situated. Juffair would not have become the lively area it is if it didn’t comprise easily-accessible facilities and services necessary for meeting its residents’ daily needs, not to mention the facilities in the surrounding areas. For example, when it comes to healthcare, the district encompasses Bahrain Specialist Hospital, a medical center with shareholders from multiple GCC countries. Bahrain Specialist Hospital provides healthcare services for 25 medical specialties, in addition to psychiatric, nutrition, and plastic surgery. Juffair district also encompasses educational, sports and cultural facilities. It houses schools like Modern Knowledge School, and Bahrain School; the latter is the only United States Department of Defense school in the GCC region. The neighborhood also comprises institutes like the Religious Institute and Bahrain Institute of Banking and Finance. Not to forget Isa Cultural Center, Manama Sports Club, Al Orouba Club, Bahrain Tennis Club, and Al Najmah Sports Club. The cosmopolitan area of Juffair also has its fair share of the administrative facilities.This includes Bahrain’s Ministry of Islamic Affairs, Central Informatics Organization, and Bahrain Society of Engineers. The area is also home to the embassies of Nepal and Indonesia in Bahrain. As one of the most chosen areas for expats and young citizens of Bahrain, Juffair houses many luxurious hotels. This includes 5-star hotels like Somerset Al Fateh Bahrain and Marriott Executive Apartments; 4-star hotels like Ramee International Hotel, Ramee Rose, and The K .
With all these features, it only makes sense that Juffair is the most active property market in Bahrain. 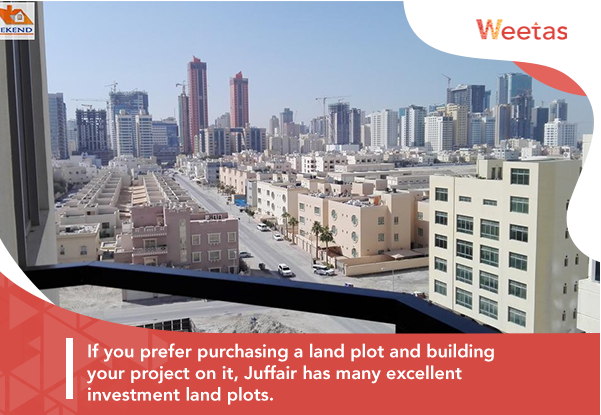 Additionally, Juffair is one of the Bahraini kingdom’s freehold areas, meaning non-Bahraini citizens are allowed to buy properties in it. If you are a young individual looking for a small private space to live in, buying a studio apartment in Juffair would cost 41000BD on average; you can own a cozy furnished studio in Juffair with several upscale amenities for around 34,000BD. If you cannot afford buying your own place, rentals of studio apartments in Juffair range between 330BD and 400BD monthly. An expat moving into Bahrain with your family? The district is expats’ favorite for a reason. You can find a one-bedroom apartment with seaview for sale for 46,500BD; this price is almost 16% less than the average price for Juffair’s one-bedroom apartments. If you’re looking for more spacious options, a fancy furnished two-bedroom apartment in Juffair can cost you around $81000BD. 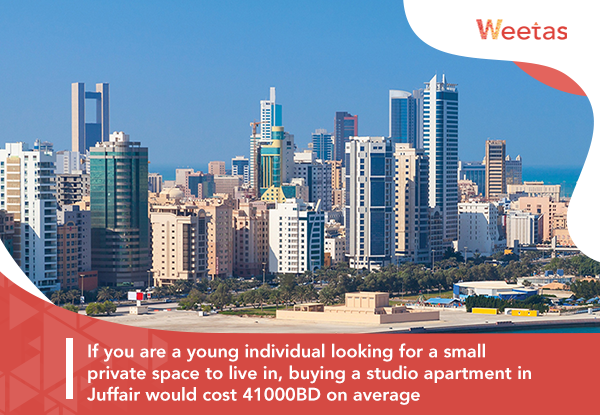 On the other hand, the cost of renting one-bedroom flat in Juffair starts from 350BD monthly. As for the rentals of Juffair’s two-bedroom homes, they cost 630Bd on average. 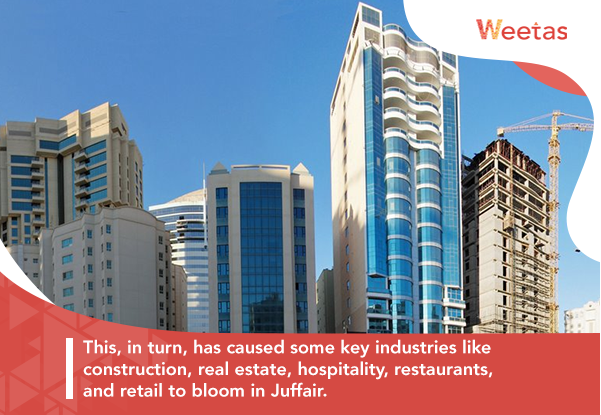 It is worth mentioning Juffair is famous for its wide variety for residential options and high-rise towers. In the following link, you will find our list of the top 5 residential towers in the area. 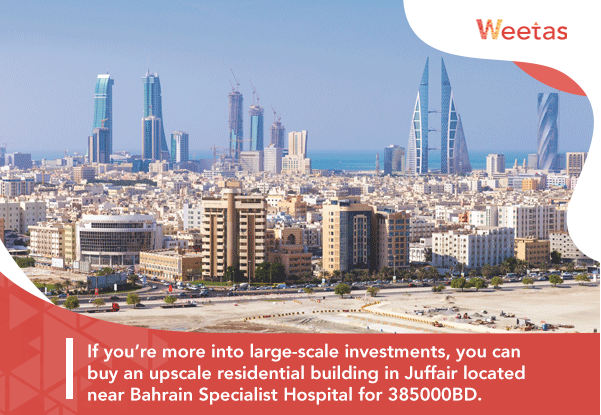 If you’re more into large-scale investments, you can buy an upscale residential building located near Bahrain Specialist Hospital for 385000BD. Meanwhile, a commercial building in front of Ramee International Hotel has the price of 535,000BD, spans 417 square meters, and can earn you a fixed monthly rental income of 1,136BD. If you prefer purchasing a land plot and building your project on it, the area has many excellent investment land plots. For example, you can purchase a BB residential land in Juffair spanning 10,000 square feet for 657,510BD. Also, if you plan to start your business there, you can buy a spacious commercial land in juffair that spans more than 21,000 square feet for 1,500,000BD. In the end, whether you are an expat who is planning to move to Bahrain on their own or with their family, someone who is already living there and looking for better home options, or a real estate investor looking for a lucrative investment opportunity, Juffair district has the home and/or investment solutions you are looking for.